Dr. Alami Mohamed specializes in hair transplantation and offers various procedures such as FUE, FUT and BHT. 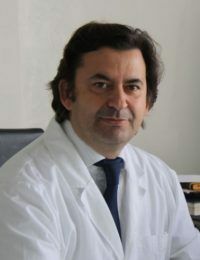 He has European Diploma of Baldness Restorative Surgery at Claude Bernard’s University (Lyon, France). Expert in hair transplant, he also realizes the graft of beard, eyebrows and also scarred/burned areas. Dr. Alami Mohamed works at the center of the hair transplant located in the Cochain cosmetic surgery clinic in Casablanca, Morocco. It is a private center specializing in hairtransplant, which meets the safety standards, warm and personalized staff to the needs of each patient. The center is located in an exceptional environment and offers you unparalleled comfort and safety.